March 16, 2019 – We have added many dates to our calendar including Schubas, Mather's, and many public libraries. Check out our calendar. January 23, 2019 – Our first public appearance for 2019 will be at the Schubas’ Acoustic Brunch: Sunday, January 27th from noon to 2:00 PM. Check out our calendar. January 1, 2019 – Happy New Year! We had lots of fun in 2018. We have many dates already listed for 2019, but there will be more to come. So, keep checking our calendar. We look forward to seeing you soon! November 5, 2018 – Just added 4 new pictures and 3 new videos to our Gallery. Our last public appearance for 2018 will be November 17th at the Boy Scouts All-You-Can-Eat Spaghetti Dinner. October 16, 2018 – We added many pictures to our Gallery. You may see a picture of you! September 23 2018 – We will have a busy October with four new venues! 10/12: Mather's—More Than a Café; 10/13: Independence Tap; 10/27: Fox Lake Library; and 10/21: Brookdale Lakeshore (private show). For more details, visit our calendar page. September 8, 2018 – Tomorrow is our last outdoor show for the season. Come see us at the Logan Square Farmers Market from 10 AM to Noon. Logan Blvd and Albany Ave - Chicago, IL. 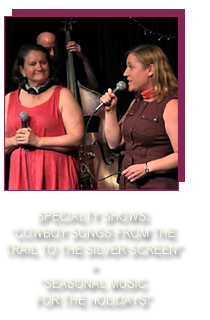 August 13, 2018 – We added two videos to our Media Page: highlights from our Rock and Roll Tribute Show at the Eisenhower Library and Country-Western clips from our show at Montrose Saloon. What genre do you want to hear? Just let us know and we will play it! July 26, 2018 – We have added nine more songs to our repetoire. That's nine more reasons to come and see us: Already Gone (Eagles); Everyday (Buddy Holly); Revolution (Van Williams); Sleep Walk (Santo and Johnny); Southern Cross (Crosby, Stills, & Nash); Favorite Waste of Time (Marshall Crenshaw/Bette Midler); Ain't That Lonely Yet (Dwight Yoakam); On the Road Again (Willie Nelson); and Past the Point of Rescue (Hal Ketchum). 2933 W Montrose Ave - Chicago - 8:00 PM to 11:00 PM. We added many new dates on our calendar. Check it out! June 21, 2018 – Come see our Classic Rock n’ Roll Tribute Show: Eisenhower Public Library in Harwood Heights, IL. Sunday June 24th – 2 pm to 3 pm. You can expect to hear many of your favorites: Buddy Holly, the Drifters, the Beatles, the Beach Boys, and more! June 9, 2018 – Daytime shows in June - Eisenhower Pubic Library (Sun. 6/24 @ 2 PM); Daley Plaza (Fri. 6/29 @ noon). Check out our calendar for more details. We also added eight new pictures to our gallery, including pictures of our friends. 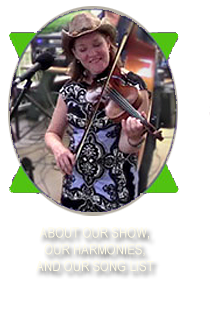 May 26, 2018 – Come see us at Wishbone North tonight 7pm to 9pm. In honor of those who served our country, we will perform the Dixie Chick’s "Tranvelin’ Soldier." Expect to hear a variety of music by Patsy Cline, Linda Ronstadt, the Beach Boys, the Decemberists, and more. April 28, 2018 – Just added four new pictures to the Gallery from our shows at the Hidden Cove and Wishbone North in Chicago. We will return to Wishbone North on Memorial Day Weekend (calendar). 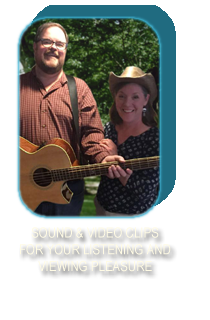 April 14, 2018 – Rock * Country * Standards - hear it all tonight. We are looking forward to returning to the Hidden Cove from 7 PM to 10 PM. See our calendar. March 11, 2018 – Our spring and summer schedule is starting to fill up. We are returning to the Logan Square Farmers Market on May 13th at 12:30 PM and Sept. 9th at 10:00 AM; and to the McKinley Park Farmers Market on July 29th and 12:00 PM. February 17, 2018 - Can you fall in love with a sound? We sing a C# chord in Dwight Yoakum ‘s “Ain’t That Lonely Yet.” A Little dissonant and bittersweet. Can’t wait to sing it at Wishbone on February 24th! February 4, 2018 - Someone requested that we include handouts to help promote our shows. We are always happy to provide promotional media for our venues and our friends. Please go to our Press Kit and print out the handout that you like the best; letter-size paper, four per page. January 1, 2018 - Happy New Year! We have added new photos to our website. Go to our Gallery. We have added a description of our Classic Rock and Roll Tribute Show; check out our Specially Show page. December 19, 2017 - Hope to see you tomorrow at Niles Public Library - 10:30 am to 11:30 am - for our last Holiday Show of the Season. See our new Christmas video taken at the Eisenhower Library in Harwood Heights. December 4, 2017 - It was great to see so many friends at Wishbone North last night. We had lots of fun playing so many holiday songs. We have two shows of 100% holiday music coming up; hope to see you at the Eisenhower Library Dec. 10th or the Niles Library Dec. 20th (See our calendar). November 11, 2017 - Are you on Twitter? Follow us and keep track of our concerts. October 28, 2017 - We have updated look of the website and added many new pictures to the gallery. We hope that you enjoy the changes. October 20, 2017 - Christmas comes early when you’re in a great band like Cowboy Choir! Another productive rehearsal last night where we dusted off some of our holiday favorites and even got a good start on a new one. Look for our holiday shows near you this December! October 1, 2017 - Thanks to the Villa Park Public Library for having us last night! We enjoyed meeting a lot of great people, and we hope you enjoyed our special 50's and 60's tribute show. Please like us on Facebook. September 23, 2017 - Already preparing for the Holiday season. We have a few shows booked for the month of December, featuring the splendid harmonies of Cowboy Choir, singing Christmas and Chanukah songs old and new. August 24, 2017 - A lot of great opportunities to see Cowboy Choir indoors and outdoors in September. A great Family Fun Fest in Elgin, a quiet Farmers Market in Logan Square, and a rocking night in Villa Park. August 14, 2017 - Just Added: Elgin / Gail Bordon Library - Rackow Branch: Family Fun Day! September 23rd from 2:00 PM to 3:00 PM. Round up the family and kick up your heels for an afternoon of down-home fun. Live music by Cowboy Choir, dancing, games and more! 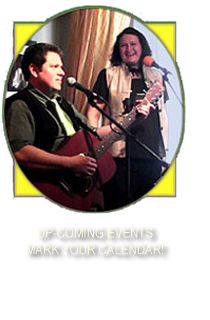 July 22, 2017 - Neil Young, The Beatles, Hank Williams - part of the eclectic mixture of music you will hear at Wishbone - Sunday night: August 8, 2017 from 7pm to 9pm. 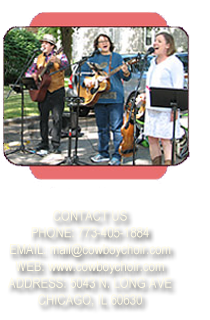 July 14, 2017 - Next Sunday, July 16th, Cowboy Choir will return to McKinley Park (Archer Ave - Western Ave - 37th Street) from Noon to 1:15 pm. David's family lived in the McKinley Park community for almost a century; he will share stories about the park, Chicago, and his family's experiences. July 9, 2017 - We just added a lot of new photographs to the gallery. Click here to view! July 1, 2017 - Happy Independence Day! Cowboy Choir is traveling into Chicago’s western suburbs this week. 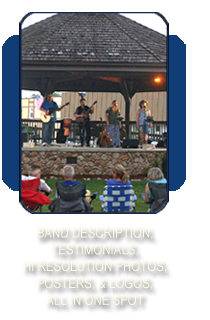 We are honored to be part of the Kiwanis Summer Concerts Series at the Ruggard Gazebo in Villa Park. The show starts with the award winning Willowbrook High School Band at 6:30 pm. 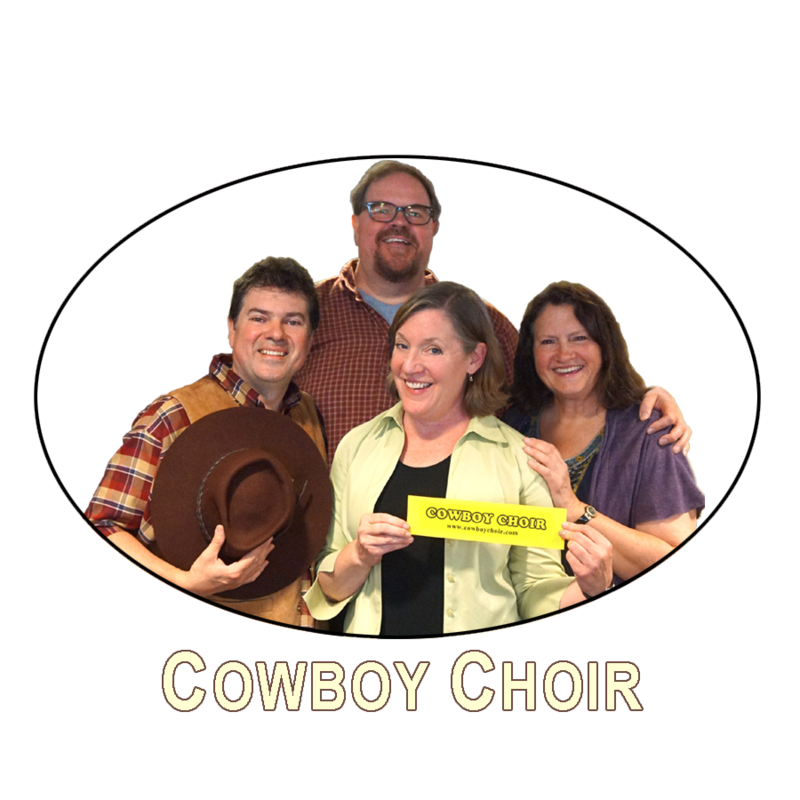 Cowboy Choir will take the stage from 7:30 pm to 9:00 pm. Bring your blankets and lawn chairs. The gazebo is right next to the Illinois Prairie Path. June 20, 2017 - We will perform at the Niles Public Library for the Senior Coffee Hour. Sing along and clap your hands while we deliver our trademark, well-crafted harmonies. 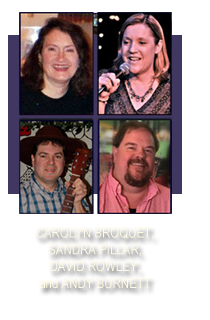 We will include tunes by Johnny Cash, John Denver, and Patsy Cline. See our calendar. June 18, 2017 - For Father's Day at Logan Square Farmers Market, we are including two songs with backbone: "Rawhide" and "Ghost Riders In The Sky." 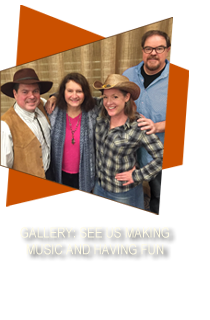 June 9, 2017 - Morton Grove Public Library: MGPL After Dark Concert Series - With guitars, bass, violin and well-crafted harmonies, we will perform well known songs from the days of the western cattle drives to the era of the Hollywood singing cowboy. June 1, 2017 - The stockyards helped Chicago grow; the cattle drives helped the stockyards grow. The Old West songs tell us who the cowboys were, and the Singing Cowboy songs romanticize who they were. Two special Cowboy Shows coming up this month. Check out our calendar. May 22, 2017 - Roots for Rockers: Join us at the River Grove Public Library on Thursday, May 25th at 7pm. Our performance will focus on traditional and Hollywood cowboy tunes, which helped lay the foundation for country and rock music. You can also expect to hear our usual mix of country, jazz standards, and rock n’ roll. May 9, 2017 - Enjoyed our time at Reaching Forward! Thanks for inviting us to showcase! April 9, 2017 - Our summer is shaping up! We will return to the Farmers Markets at Logan Square on Chicago's Northside and McKinley Park on Chicago's Southside. Check out our calendar for more details. April 1, 2017 - After work with Cowboy Choir! We are proud to play a Thursday Night Concert at the River Grove Public Library. We will present: “Roots for Rockers” – traditional and Hollywood cowboy tunes, which helped lay the foundation for country and rock music. You can also expect to hear our usual mix of country-western, jazz standards, and rock n’ roll. February 12, 2017 - We look forward to celebrating Lincoln’s Birthday at Wishbone on Lincoln Avenue. 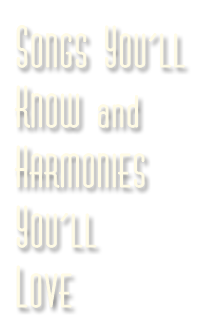 As always, we will be sharing our tightly arranged harmonies to deliver many of our favorite songs. January 29, 2017 - Thank you to everyone who came out to the Edgewater Beach Cafe Sunday, January 29th. It’s always great to see our families and friends stop out. Thanks to bassist Chris Maring of Scream Blue who really enhanced to our sound. January 1, 2017 - Cowboy Choir is an acoustic musical group that plays classic country, timeless standards, early rock favorites as well as contemporary gems. Their guitars, bass, and violin provide the ideal backdrop for their voices that blend in perfect harmony. 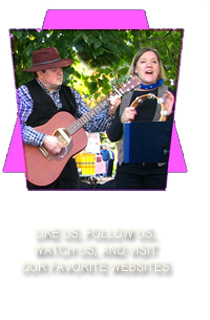 They have performed at various events and venues in the Chicago area and hope you will join them on the trail to a great time.